Why does it take so long to get listed? Why are some sites rejected? Getting a website listed in DMOZ can be very frustrating. We know that being listed will probably help our Google rankings, but getting in can take a very long time. In this article I will explain why it often takes so long and why what you do when submitting your site is sometimes the cause of the delay. But first I will explain what DMOZ is and why it is worthwhile for websites to be listed in it. 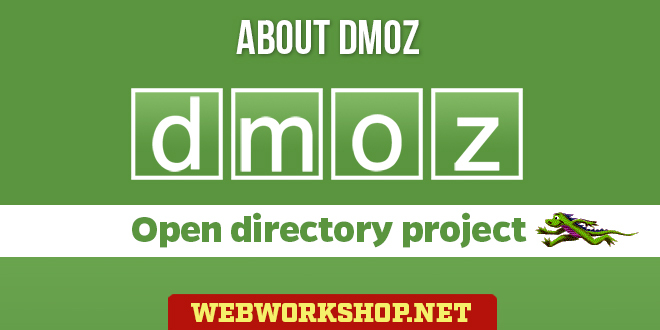 DMOZ, also known as The Open Directory Project (ODP), is a large, categorized directory of websites and pages, which is staffed by volunteers. Every website and page that is added to the directory has to be manually reviewed before it is included. Being listed in the directory is free. Not many people actually use DMOZ for searches in the same way that Yahoo! is used, so the directory itself is of little value in generating traffic. However, its data can be freely downloaded, and any website, however small, can use it. One not so small website that downloads and uses DMOZ’s data is Google. In fact, Google’s directory is nothing less than the downloaded DMOZ directory. This has some significant effects for websites that are listed in DMOZ. PageRank is an integral part of Google’s ranking algorithm, and higher PageRank helps towards higher rankings. The PageRank within a website is increased by pages from other sites linking to it, and the higher the PageRank of the pages that link to it, the better it is for the receiving site. A listing in DMOZ creates two significant links into a website – one from DMOZ (Google spiders DMOZ just like any other site) and one from the Google directory. Both of these usually have decent PageRank. Then add the links from the thousands of small sites that have downloaded and use the DMOZ directory, and you can see why it is usually quite beneficial for a website to be listed in DMOZ. Simply being listed in DMOZ can take a website from a Toolbar PageRank value of 3 to 4, and even from 4 to 5. At the time of writing, the front page at DMOZ states “57,251 editors” (volunteers who review and add websites to the directory), but this is misleading. They don’t in fact have that many editors, or anywhere near that many. That number is the total number of editors that they have had since the project started. Most of them are no longer editors. Of the ones that are still editors, a significant proportion of them are not actually active or are only slightly active. So the number of editors who are actively reviewing and adding websites is relatively small. On the other side of the equation, there is a massive backlog of sites waiting to be reviewed. Each editor can only edit in his or her own categories. Some editors have small categories with very few submissions to deal with, and they can be dealt with very quickly. Others are simply overwhelmed by the mountain of unreviewed sites, and there is little chance of getting through them in the near future. But the huge backlog, and the relatively low number of active editors, are not the only reasons why websites seem to wait forever to get listed. Many times, the delay is the fault of the person who submitted the website. Imagine that someone submits a site to a category that is reasonably close to what the site is about, but the site really belongs in a different category. What happens? The submission waits in the unreviewed queue of the category to which it was submitted. Sooner or later its turn comes and the editor reviews it, but finds that it belongs in a different category. That editor can’t edit the other category, so the submission is passed along to the other category, where it is added to the unreviewed queue. It doesn’t jump the queue just because it has already waited in a different queue. Eventually its turn will come again and it will be reviewed – again. That’s the simple course of events when a site is submitted to the wrong category. In practise, though, it is often significantly different. When the first editor reviews the site, often quite a long time after it was submitted, and finds that it doesn’t belong in the category, what is s/he likely to think? “If you can’t be bothered finding the right category for it, neither can I”. And so the site is often sent to a category that is closer to where it belongs but not necessarily to the exact one. The editor there eventually gets to it, and sends it a bit further towards the right one – maybe to the right one this time, and maybe not – and the delays mount up just because the person who submitted the site didn’t take enough time to make sure that it was submitted to the right category in the first place. If the submitter can’t be bothered, why should anyone else be all that bothered? So, when submitting a site, always take time to find the right category for it. Don’t be tempted to submit it to a category that is higher up the tree than it belongs, because it won’t be accepted there and, doing so, could cause unnecessary, self-induced delays. DMOZ’s policy is to include sites that have unique content, which means that many sites don’t qualify for inclusion. Among the sites that are likely to be rejected are those that have too much content of an affiliate nature. Some affiliate content is acceptable but when it occupies too much of a site, then the site will probably be rejected. Another reason why a site may be rejected is because of the submission. If the Title and Description provided in the submission don’t follow DMOZ’s guidelines, then some editors will think, “If you can’t be bothered to spend a little time on it, why should I bother rewriting it for you?”, and reject the site. Personally, I find it hard to believe that editors would do that, but I’ve heard of it happening. So, when submitting a site, read and follow the guidelines. The description is intended to give people an objective statement of what can be found in the site, and not to promote it. People are not informed that their site has been rejected, and there must be many people out there who think their submissions are still pending when, in fact, they’ve already been rejected. There’s only one way to know the status of a submission and that’s to get someone on the inside to tell you. Fortunately, there’s a place where you can do that. It’s the Open Directory Public Forum, which is run by some of the editors. They are very helpful in that they will find out the state of play for a website’s submission. If it’s been rejected, they will tell you, and they will usually give you the reason. Sometimes they will even review a long-delayed submission, but only if the particular category has no editor or the category’s editor has shown no signs of doing any editing in quite some time. As I mentioned earlier, there are not many active editors when compared to the number shown on DMOZ’s front page, but most of those that are active are keen. They are keen to add websites that have unique content, and keen to improve the directory; in fact, they remind me of a colony of ants busying themselves in and around their anthill (the directory), building it up, each tiny bit by each tiny bit. Contrary to what some people think, they do care about the directory and about adding new sites, but they have an uphill struggle because there aren’t enough of them. really know what you’re talking approximately! Bookmarked.